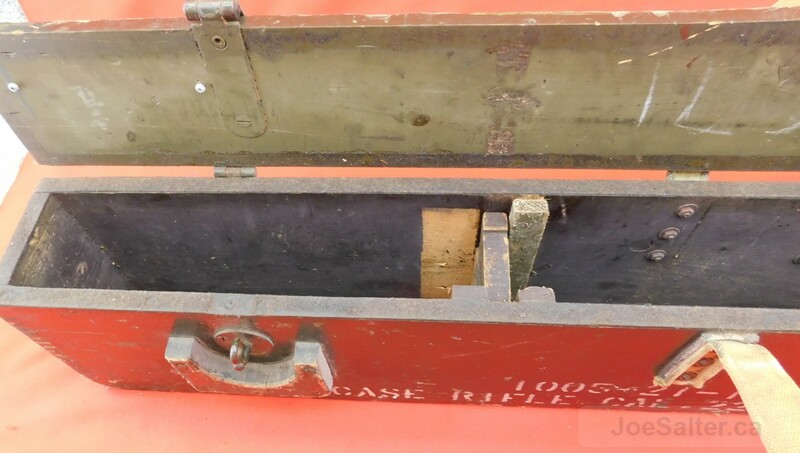 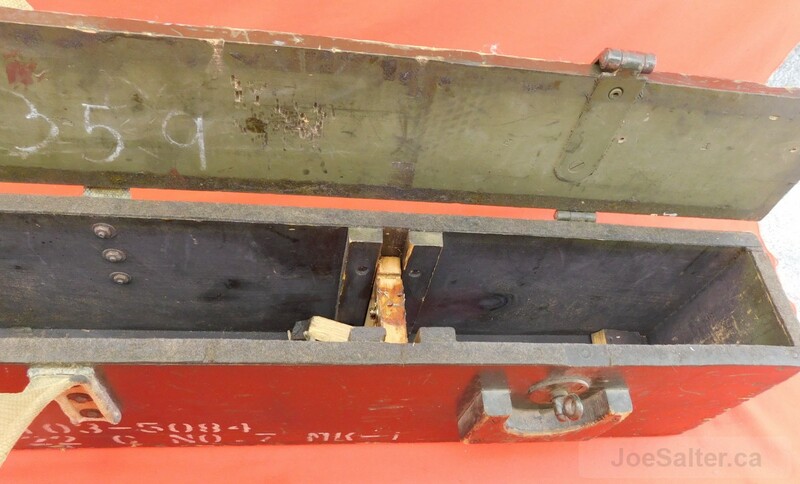 Original Canadain C 7 transit case for the Canadian C 7 22 caliber rifles ,46 3/4 X 8 1/4 X 4 3/4. 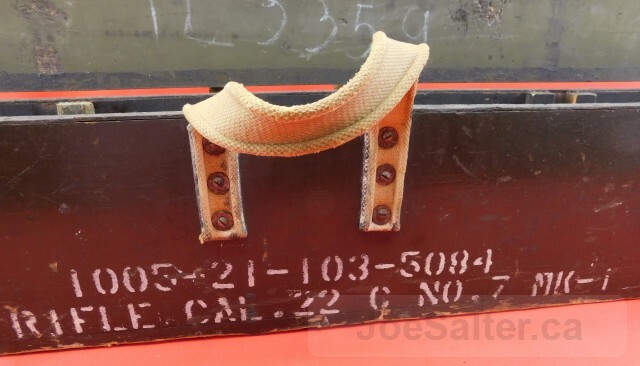 All original paint and stencils. Some minor fitting and repair required for the 3/4" plywood . Rifle support blocks.